Vancouver’s skyline from the neighborhood of Fairview is one of the most popular views of the city. 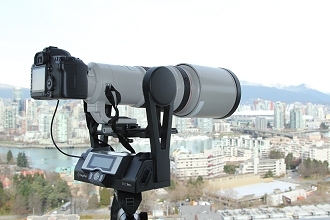 It is difficult to gain access to any building in the area to shoot a gigapixel photo for several hours. 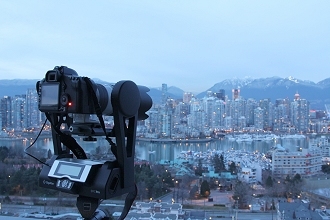 But on Feb 27, 2012, with the help of Hweely Lim and Matt Ward, I finally had the chance to shoot from a building with a breathtaking 240-degree view. The Day version is a 6.77-gigapixel image (6,766 megapixels) composed of 840 individual photos stitched together and taken with a Canon 5D MKII and a Canon EF 500mm f/4L IS USM lens. The Dusk and Night versions are 1-gigapixel images made up of 110 photos each and shot with a Canon 5D MKII and a Canon EF 70-200mm f/2.8L IS II USM lens.